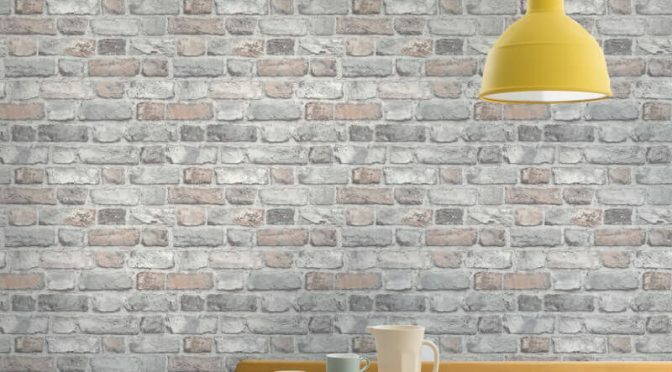 Vintage House Brick Pastel Wallpaper from Grandeco is a great way to add a rustic vibe to your home this season and beyond. First of all, this wallpaper is inspired by traditional brick. Featuring a modern twist, it has a great sense of style. The wallpaper is also part of the Vintage Brick Wallpaper Collection. It features textured cushion vinyl construction for a great look. Brought to life in a beautiful pastel colour scheme, it offers a feminine touch. Finally, the Grandeco Vintage Brick Pastel Wallpaper is versatile enough for use on one wall or throughout a room. Add pastel toned home accessories to draw colours out of the design.